Personal seller account that's never been logged in on my phone, only my computer. Prime buyer account has been logged on my phone via amazon app and my computer with my personal account. If I decide to log into my stealth account on my phone through the seller's app, will it link me to my personal seller account because I also logged into my buyer's account on the same phone and computer? This is using mobile data, not WIFI. Re: Can amazon link my buyer's account with my seller's on my phone? Are using the same browser in both of these accounts? 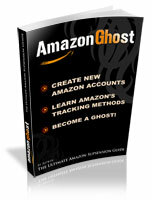 If then, you are linking them easily to each other, and amazon is very darn good in catching that. Seller account uses firefox and buyer's account uses chrome. It could link you, hard to tell from what you're saying. Why not just keep the activity dedicated to a laptop or different cheap phone?